Location based services are becoming progressively commonplace; there has been a “recent surging popularity of location-based social services” (Scellato et all. 329). More and more applications are designed around location-based services. If I am even remotely lost, I whip out my smartphone and use the Google maps application as a navigation tool to find my way. When I am out of cash and want to find an ATM, I have an app for finding the nearest one. 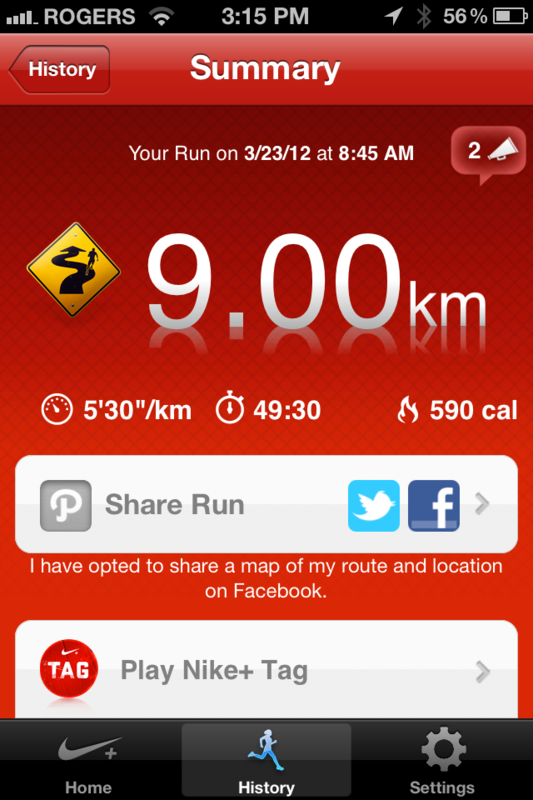 When I go for a run my Nike app times and tracks my route, pace and distance. But location based applications have threaded beyond the boundaries of just navigation. Services such as Tinder actively affect the way we date by using our location as the entry point. Furthermore other applications like Facebook also use location services for an array of functions. The way we interact with the world is becoming increasingly dependent on location-based applications and services. Part of what we do and who we are is not just a part of us anymore, but computers are doing that work for us. M. Hansen’s statement that “computers are becoming even more necessary” while people “are becoming ever more contingent”(178) really resonates in that. Ebola is rampant in some states in West Africa, and even though the threat of Ebola might not be very present for people in the West, the fear of Ebola for some certainly is. Online forums and discussion boards are crawling with questions on whether they are at risk themselves and how to avoid this. Ebolanear.me shows you that threat of Ebola is probably not near to you, but that is not the point. The creators of the website attempts to make visitors aware of what Ebola is and what it does and how the disease is being portrayed in the media. It is subversive in the sense that it does so by actually giving that information to specific users that actually fear Ebola, and are looking to find out if they are close to the virus. Mass hysteria is not at all a new phenomenon. The many-to-many structure of the Internet lends itself very well for its spread. Through the Internet, much larger groups can congregate and spread panic, amongst each other. Christian Russ writes “mass phenomena are situations where a lot of people seem to overreact in similar ways (…) typical examples can be (…) hypes and panics” (2). Ebolanear.me attempt to show that we are free in how, and for what purpose we use the Internet. By trying to stop people in their tracks who are looking up where the nearest case of Ebola is by using the ever more inherent part of us that is location based services, the website tries and shows us that we should choose to be critical of the things we read online and interact with the topic intelligently. Russ, Christian. “Online Crowds-Extraordinary mass behavior on the Internet.” Proceedings of i-Media 7 (2007): 65-76. Scellato, Salvatore, et al. “Socio-Spatial Properties of Online Location-Based Social Networks.” ICWSM 11 (2011): 329-336.